Community groups using a village hall are to benefit from new facilities thanks to a washroom upgrade. Two hi-spec hand dryers for Edenham Village Hall will cut back on paper towel waste and improve hygiene. They are being part-paid for by a £250 Ward Member Grant from South Kesteven District Councillor Nick Robins. He said: "I am pleased to be able to help Edenham Village Hall because it's such a well-used and valuable local community facility. "The committee have done their own fundraising and together with small changes like this we can help keep the hall an attractive focus for local events." The volunteer-run community facility on Church Lane is used by a wide range of groups and clubs, including dog training, toddler groups, keep fit sessions, yoga classes, local band performances and village events. Committee member Pat Smith, who led the project, said: "We thought that with this system it would be cleaner and easier for everyone who uses the hall. "We have paper towels at the moment which means they have to be replenished, and the bins emptied too." The thriving hall has a stage area with space for seating for up to 120 people. Facilities include a kitchen, bar area, disabled access toilets, car parking and a playing field. 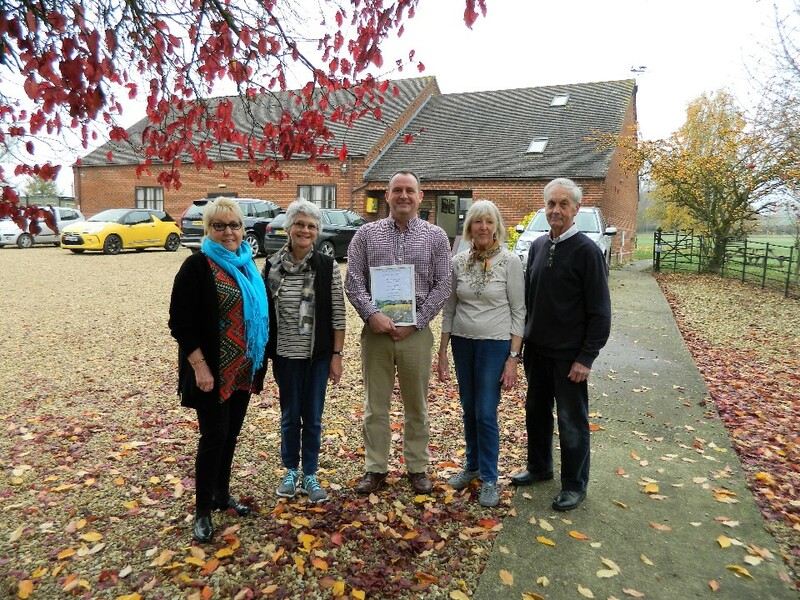 Picture: SKDC Councillor Nick Robins (centre) with Village Hall committee members (l-r) Pat Smith, Glenys Peeling, Rosemary Wilson and Michael Wilson.